It is becoming increasingly necessary for companies to work with smallholders to guarantee supply. Research has shown that the most successful individuals – the Type A personalities and perfectionists amongst us – will be more susceptible to stress than others, which probably comes as no surprise. Nigeria – worst country for a baby to enter the world in 2013? Nigeria is one of the world’s fastest growing economies. However, it is apparently also the worst country to be born in the year 2013. Attention is on Africa as the new business destination of the world. But, without guidance on the ground, grand business plans can decay into regrettable adventures. 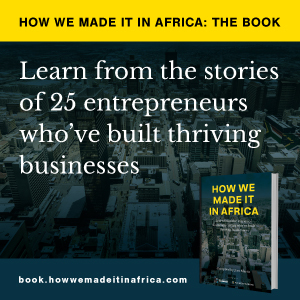 South Africa should be making use of the African continent as a positive example when it comes to entrepreneurship. The potential for business opportunities in Africa is far from being realised by Irish companies according to new research from Barclays Bank Ireland. Africa’s new low-cost airline fastjet, backed by easyJet founder Stelios Haji-Ioannou, this week unveiled its new logo. African governments should use the proceeds from land leased to foreign investors to subsidise the cost to local farmers of modernising their farming methods. SABMiller wants to drop the price of beer for lower-income consumers, while at the same attracting more drinkers to its premium green bottle brands. Shoprite Holdings chief executive Whitey Basson discusses foreign investment in Africa’s retail sector as well as Shoprite’s expansion into the continent. Africa’s under-40 millionaires reveal the reasons for their success and give advice to other budding entrepreneurs. Leapfrog, Sanlam and Old Mutual are a few South African insurance giants that have recently announced insurance acquisitions into African markets. Samsung today announced that it will launch a low-cost mobile phone specifically aimed at Africa and other emerging markets.